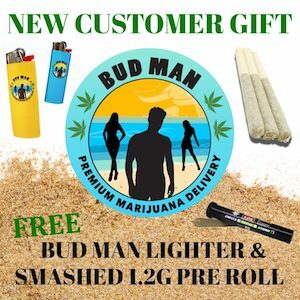 Bud Man OC is a legal marijuana delivery company serving Irvine and Orange County. For more information, please call (949) 520-1021 or email us at info@budmanoc.com. We’re happy to answer your questions about our cannabis products and the delivery process. Please upload your valid 21+ ID below. Once you are verified, you will be able to order from our weed delivery menu or call us to place an order. We strive to maintain the privacy of our customers. Our delivery drivers do not carry change so please have your cash payment ready with exact change. I can upload it now.